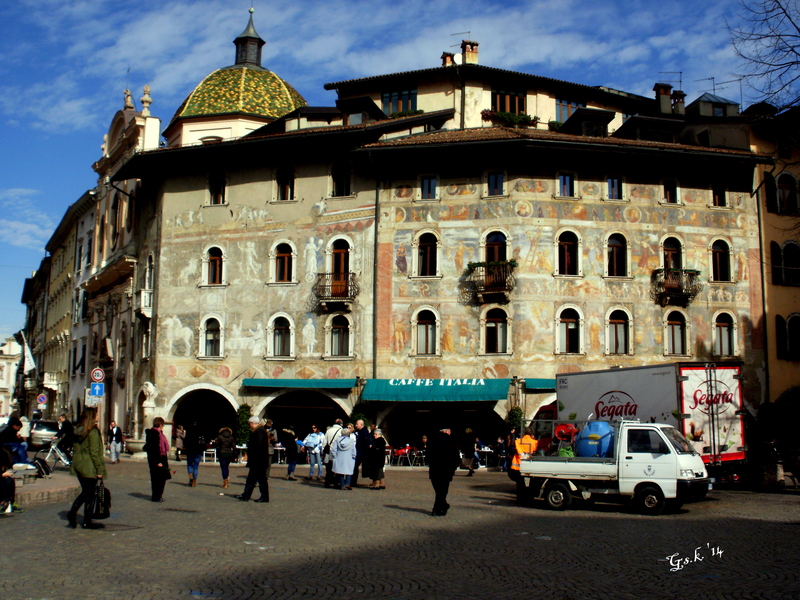 Here I am again, with another post about Trento for the Weekly Photo Challenge – Threes. This time we’ll be going to the main Plazza of the city: Piazza del Duomo. I’m not going to show you the church though. It is huge and beautiful, but I wanted to show you something different. Trento is a University town, like Padua, but not quite as old. 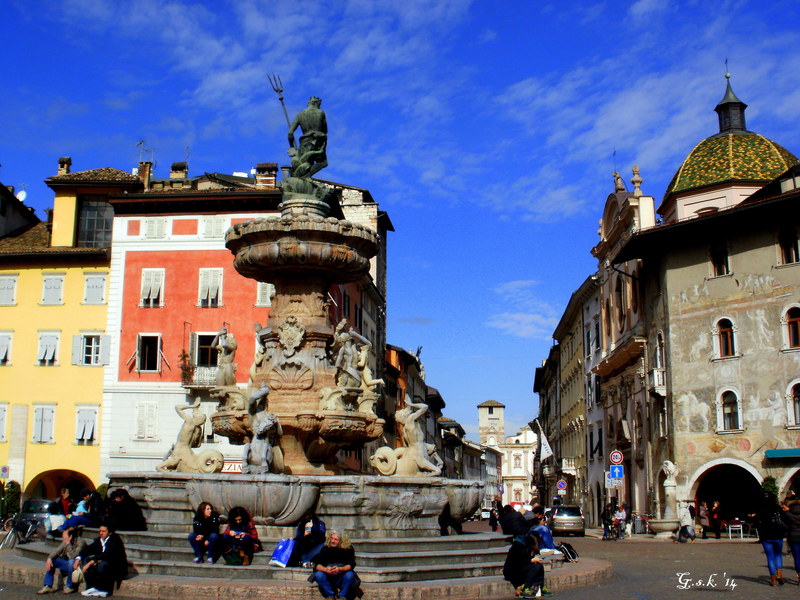 As you can see, it was a sunny day and there were a lot of people, by Trento’s standards in Piazza Duomo. Behind it is of course…Hotel Venezia and Caffè Italia! Hope you enjoyed visiting the Piazza! And for more Threes…just click a link! This entry was posted in Weekly Photo Challenges and tagged Daily prompt, Italy, Piazza Duomo, postaday, Threes, Trentino, Trento, weekly photo challenge. Bookmark the permalink. I so wish the cars were not parked bloody everywhere! I was surprised to see them in fact, as that’s a pedestrian zone! 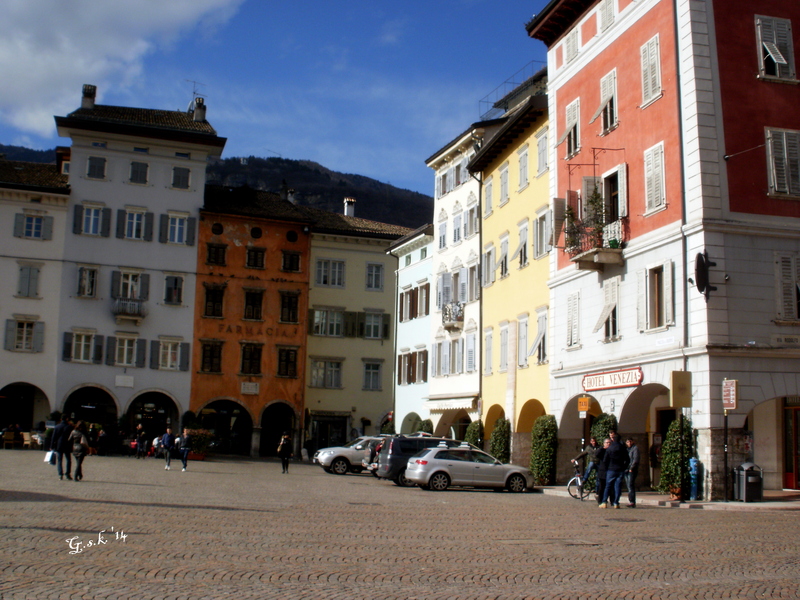 Well, in Trento usually that square is car free. The police give people a ticket, there must have been something particular going on. But I do know what you mean, in the none pedestrian zones it’s often like that. Trento looks lovely. I’d love to make a visit there one day. That fountain is beautiful. It is a lovely city, and still has most of it’s ancient walls! 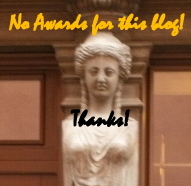 But that is another post!